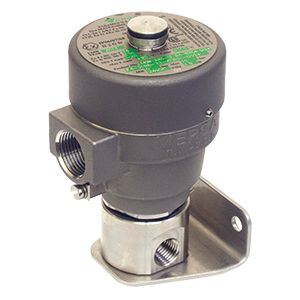 Versa valves provide the most dependable treatment of potable water and wastewater. 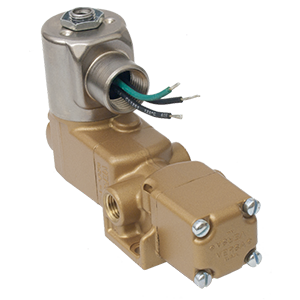 Low pressure, hydraulic directional control valves available from 0 to 500 psi for trouble-free performance under the most exacting conditions. 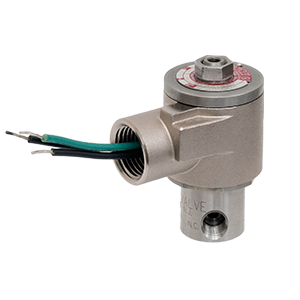 ESM style aluminum direct solenoid operated valves available in 2- or 3-way flow. 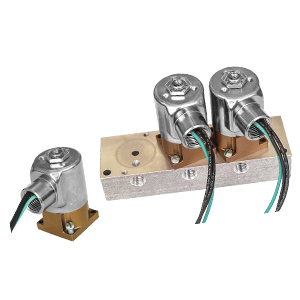 Options include hazardous location, low watt, and intrinsically safe coils and manifold mounting. High flow stainless steel body-ported 3 or 4-way valve. Sealing design using Versa's elastomer packed plunger for bubble-tight performance. 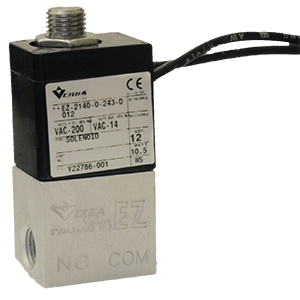 Solenoid, pilot, manual or mechanical actuated. Our smallest E Family valve. The EZ has an aluminum body with a direct acting solenoid. Available as side ported or manifold mounted. Smaller option to our Series E valves with the same key flow and operating pressures but lower power requirements. 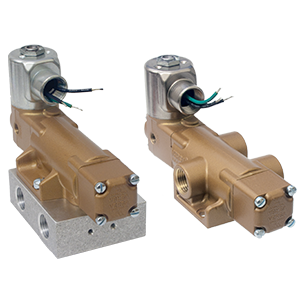 High-pressure pneumatic and hydraulic valves for harsh environments. 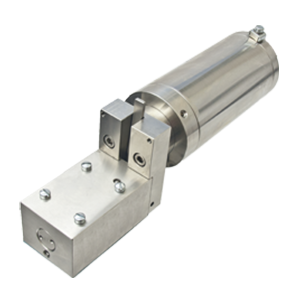 Available in 2, 3, and 4-way flow functions with solenoid and pilot actuators. 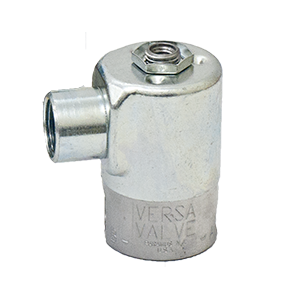 V Series valves are a modular design for controlling pneumatic or hydraulic pressure. Standard o-ring seals enable configuration for varying conditions. 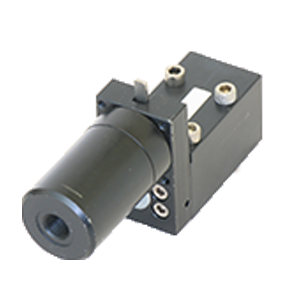 ESM style direct solenoid operated valves available in 2- or 3-way flow. 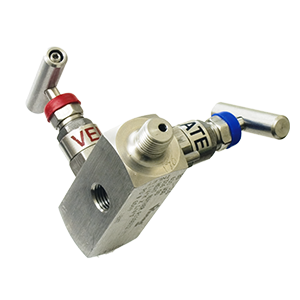 Options include hazardous location, low watt, and intrinsically safe coils, manifold mounting and all stainless construction. High-pressure, 316 stainless steel pneumatic and hydraulic valves for harsh environments. 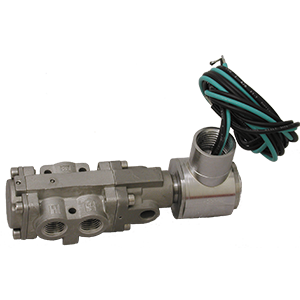 Available in 2, 3, and 4-way flow functions with solenoid and pilot actuators. Explosion-proof, stainless steel terminal junction boxes to simplify wiring in hazardous or wet locations. 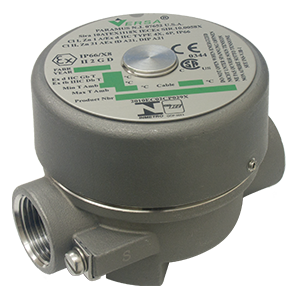 Our traditional isolation valve to faultlessly isolate and vent downstream pressure during gauge changes.